Garden Shed Foundations – What is the best floor option? Do I need a floor for my garden shed? Does the price include a floor? Do I need a concrete base? Or do I need a timber floor? These are all common questions when it comes to purchasing a garden shed and deciding which Garden Shed Foundation is best for you. Do I need a floor for my garden shed? Yes! All garden sheds need a sturdy, level foundation to sit on whether it’s a timber floor or concrete pad. We often see people cutting costs by putting their shed on a pallet, cobble stones or not having a floor at all. 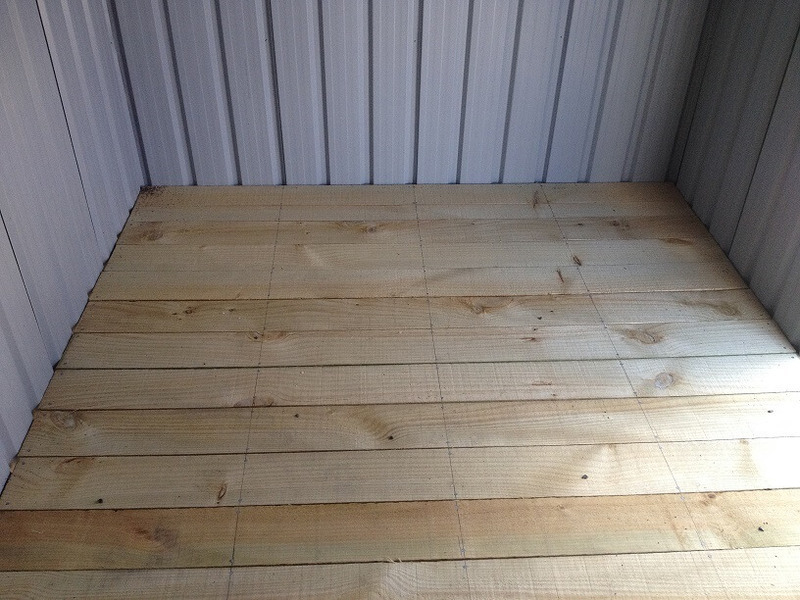 While a floor is an extra cost it is the most important part to a long lasting and trouble free shed. A pallet or cobble stones are not often level or the right size and then you run into problems of water seeping under and into the shed or the door twisting and the lock becoming difficult to use. A purpose made floor is a must for all garden sheds! No, the price of the shed doesn’t include the timber floor (unless you are ordering a Pinehaven Cupboard or Cedar Cambridge Locker). The simple reason for this is not all people require a timber floor, some will put their sheds on a custom made concrete pad while some will build their own timber floor. Every site and client has different requirements! Does my garden shed need a concrete base? Or will a timber floor be sufficient? No, your garden shed does not need a concrete base and yes, a timber floor is sufficient! Many people have the understanding that all garden sheds must be put on a concrete pad, this is incorrect. A timber floor kitset is an easier and cost effective base option when compared to a concrete pad and also means your shed can be relocated if necessary. A timber floor is adequate for all situations including storing ride on mowers, motorbikes, quad bikes and general household items. A concrete pad is only often used when the client prefers this option to a timber floor, however, we do also suggest a custom made concrete pad with our workshop range. If you are unsure what preparation needs to be done to your site prior to assembling your shed then read this post – Garden Shed Base Preparation – What do I need to do?